Your first appointment is one of the most important, as we will familiarize ourselves with your medical and dental history, address your chief complaint and discuss your goals. Also, this is an opportunity for you to ask us questions so you get comfortable knowing us. Feel free to download and fill out the dental forms before you arrive. A complete extraoral and intraoral exam will be performed. Radiographs are required and may be taken during this appointment. If you have recent x-rays, you should bring them with you to this appointment or have your dentist send copies to our office. Photographs may also be taken which allows us to see your teeth in a much larger view. We may make impressions of your mouth and teeth as these are important diagnostic tools to help formulate a true comprehensive treatment plan. Depending on the complexity of your treatment, we may bring you back for a second consultation to discuss the ideal treatment options and answer any questions that you may have. At this time, financial options may be discussed. 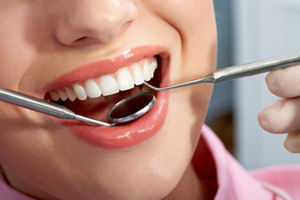 If you have dental insurance, it would be beneficial to bring this information. We encourage you to ask questions anytime.